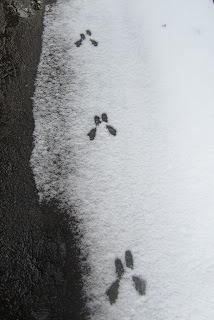 In spite of the light snow, the walking was easy and I could take a look at the tracks that others had made. 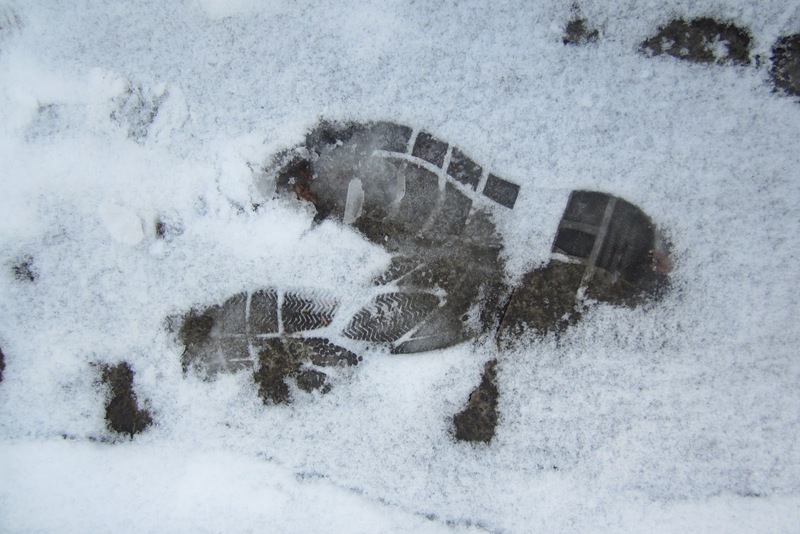 This borders on the poetic - "walk where I walk," "follow in someone's footsteps," "ships passing in the night," "walk a mile in another's shoes." Maybe the Easter bunny warming up!! Wow. Now that's great blogging. Love the comparisons. I enjoyed your pictures. 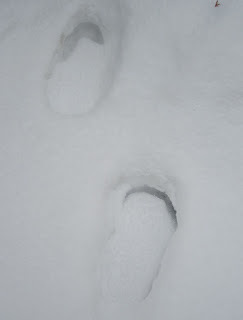 It's been a long time since I walked in the snow. Some days are just like that..
"A penny for your thoughts....."